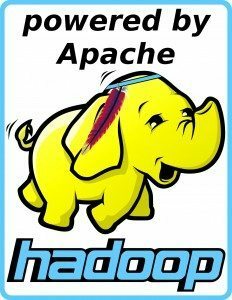 Hadoop is a framework or too ls that enable the partition and split of tasks across multiple server and nodes on a network. 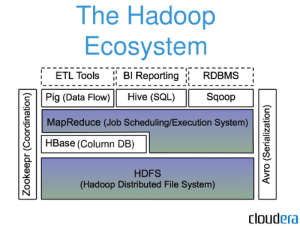 Hadoop then provides the required framework to MAP and REDUCE a process into multiple chunks or segments. Hive, Hbase, Chukwa, Tex, Pig, Spark, Tez, and some others that are designed for instance HIVE for a data warehouse that provides data summarization and adhoc querying. 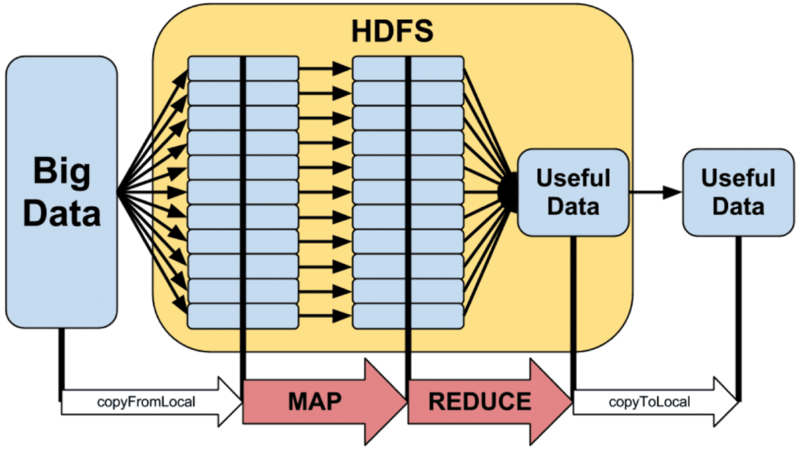 HBAse as well is a database that support structured data storage for large tables. However the common projects are: Common, HDFS, YARN (job scheduling and cluster management), and MapReduce. 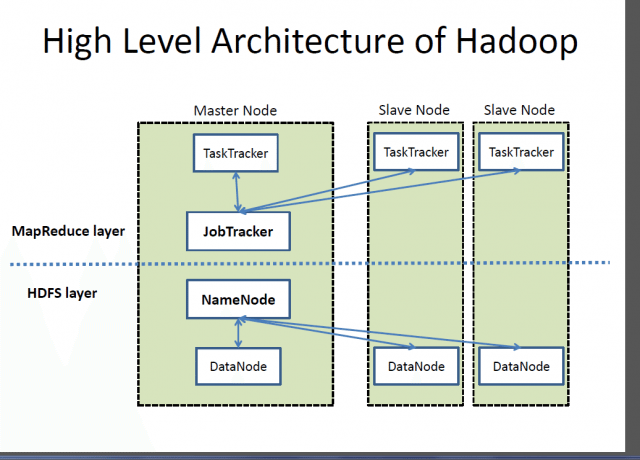 As shown in the figure from opensource.com, Hadoop includes a Master Node and Slave Node(s). The Master Node contains a TaslkTracker and a JobTracker that interfaces will all the Slave Nodes. As shown in the figure, the MapReduce logic is shown here. The generated output is then copied over to a destinatary node.
""" A  map-reduce job that calculates the density """
""" The mapper loads a track and yields its density """
As shown here, the mapper will grace a line of file and use the “track.load_track()” function to obtain “tempo”, the number of “segments” and all additional metadata to create a density value. In this particular case, there is no need to Reduce it, simply it is split across the board of all Hadoop nodes. 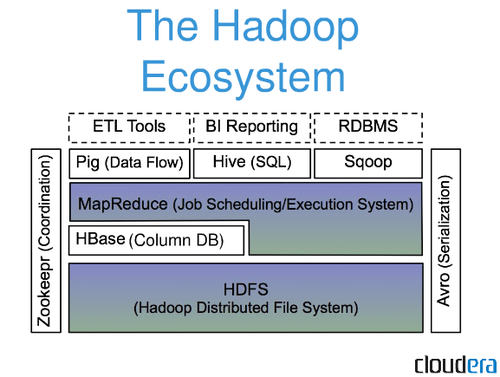 As shown in the figure below from cloudier, Hadoop uses HDFS as the lower layer filesystem, then MapReduce resides between the HBase and MapReduce (as HBase can be used by MapReduce, and finally on top of MapReduce we have Pig, Hive, Snoop and many other systems. Including an RDMS running on top of Sqoop, or Bi Reporting on Hive, or any other tool.